With all the excursions from Marrakech, travelers can learn from ancient Berber villages of the Atlas to beautiful and emblematic cities like Rabat. The activities for each of these excursions, such as trekking, camel rides or hot air ballooning, become more attractive and give emotion to experience. Subscribe to know Marrakech differently and beautifully. For nature lovers, this excursion through the Ourika Valley is absolutely perfect. Will visit the heart of the Atlas and Ourika river waterfalls, among other fantastic places. We propose for the more adventurous a stimulating and fun activity that allows you to know Marrakech from another perspective on the stunning Ouzoud waterfalls. This tour Ouarzazate and Ait Ben Haddou is ideal for film lovers and architecture. 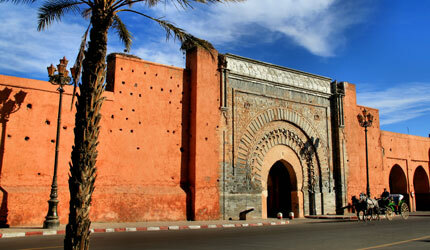 Some of the Kasbah you will see have appeared in several famous films. This Marrakech balloon ride is an unforgettable experience for you. Admire the beauty of the imperial city bird’s eye view is a privilege for the traveler’s eye. This tour of the Desert of Zagora is a feast for the senses. Film kasbahs discover the beauty of the largest valley in Morocco, precious and semi-arid plains numerous Berber villages. Enjoy this trip to the desert from Marrakech, a single route that takes you from the Atlas mountains, plains and through the desert oasis until Merzouga.